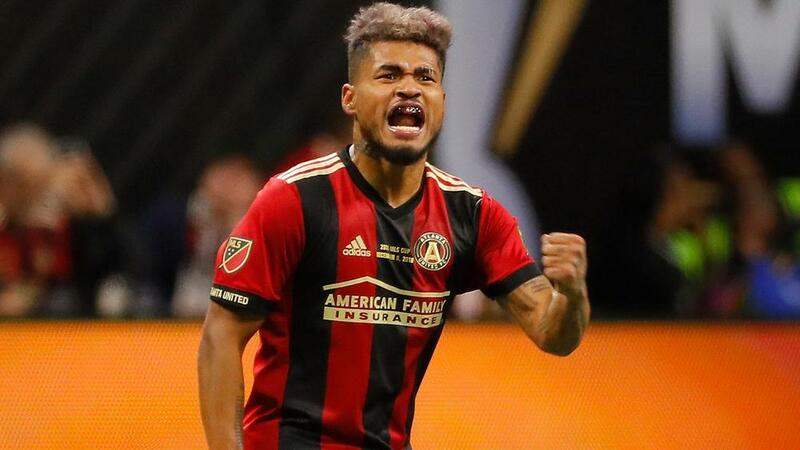 Atlanta United were crowned MLS Cup champions in just their second season after a 2-0 win over the Portland Timbers on Saturday. Josef Martinez and Franco Escobar scored either side of half-time at a sold-out Mercedes-Benz Stadium in Georgia. It capped a fine campaign for Gerardo Martino's men, who were largely in control throughout against the Timbers in the coach's final game in charge. The season finale took a while to get going, with Martinez having a penalty shot turned down in the opening stages. Darlington Nagbe and Miguel Almiron, the latter forcing a good save from Jeff Attinella, had opportunities for Atlanta before the opener. Michael Parkhurst's sliding tackle saw the ball fall to Martinez, the prolific MLS MVP calmly rounding Attinella before opening the scoring six minutes before half-time. Portland looked for an immediate response and Jeremy Ebobisse had a header saved by Brad Guzan prior to the break. The Timbers also looked the better side after the interval, with David Guzman putting a good chance over the crossbar from close range. Instead, Atlanta doubled their lead in the 54th minute. Almiron's set-piece was met by Martinez, whose flicked header fell to Escobar to put away at the back post. Portland continued to struggle to create much of note, while Martinez headed straight at Attinella at the other end as Atlanta saw out a deserved win. Martino, linked with the vacant Mexico job, will leave having delivered an MLS Cup to Atlanta. With Almiron also likely to depart, and interest in Martinez sure to be high after his exploits this season, this was a chance Atlanta needed to take – and they did just that. Martinez's opener was his 35th goal of an incredible campaign as he broke the record for most goals in an MLS season. He stayed onside and was composed for his opener and while the Venezuelan had other chances, his header also set up Escobar's goal as he delivered on the biggest stage for Atlanta. Portland rarely looked like scoring against Atlanta, unable to create much of note against the hosts. As ever, Diego Valeri appeared the most likely, but the Timbers struggled, particularly after Atlanta went 2-0 up. It appears Atlanta will have to rebuild ahead of next season, which will include the CONCACAF Champions League, while Portland will be eager to go a step further after a fine play-off run.